A presentation reviewing the most relevant threats and risk mitigation techniques that may help your organization function in the Cloud. Designed to give specific examples of what you can do to manage Cloud risks. 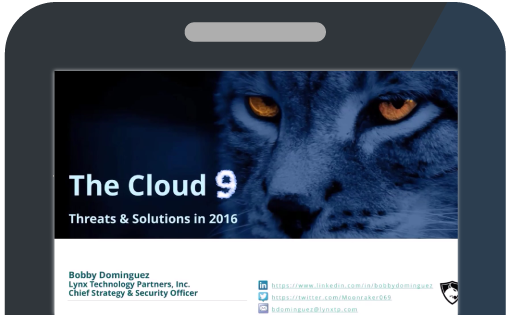 In this session, Bobby Dominguez will describe some of the most relevant threats as well as risk mitigation techniques that may help your organization function in the Cloud and reduce the risks associated with this fastest growing technology segment. The discussion will not only focus on the threats, but potential solutions and give specific examples of what you can do to manage your Cloud risks.